Sydney Brenner, Director of the LMB from 1979 to 1986 and 2002 Nobel Laureate, died on Friday 5th April 2019, aged 92. From the 1950s, Sydney was at the forefront of many developments in molecular biology, in particular in molecular genetics, including the unravelling of the genetic code, and the discovery of messenger RNA. He initiated the work on the nematode worm, Caenorhabditis elegans, to study how genes regulate organ development and how cells are programmed to die. He was a key member of the LMB for 30 years, 20 of which he shared an office and ideas with Francis Crick. Sydney was born in Germiston, South Africa on 13th January 1927. He attended Germiston High School and in 1942, at the age of 15, enrolled at the University of Witwatersrand, Johannesburg. He initially studied physics, chemistry, botany and zoology before moving to medical school, where courses in anatomy and physiology sparked his interest in cells and their function. Realising he would be too young to qualify to practise medicine at the end of his studies, he undertook a second B.Sc. (Hons.) in Anatomy and completed a M.Sc. in 1947. He then returned to medical studies and obtained a M.B. Bch. In 1952, he moved to the University of Oxford to undertake a PhD in the Physical Chemistry Laboratory under Sir Cyril Hinshelwood. He returned to South Africa in 1954 and became a lecturer at the Department of Physiology at Witwatersrand. There he developed an interest in solving the genetic code and he looked for a bacteriophage system that might help with this quest. In 1956, Sydney returned to Britain and joined the MRC Unit for Research on the Molecular Structure of Biological Systems (now the LMB) in Cambridge, mainly due to the efforts of Francis Crick. Sydney joined Francis in the LMB’s Molecular Genetics Division (now the Cell Biology Division). During his first years in the Lab, Sydney continued his work on the genetic code, mutagenesis and the regulation of DNA replication. His early work concentrated on the structure of bacteriophage and he showed that the particles were built of component parts. This work also resulted in the introduction, by Sydney and R W Horne, of negative staining as a method for high-resolution electron microscopy of biological objects. 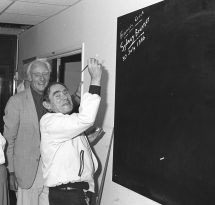 He also worked on acridine dye induced mutations, introducing the idea of frame shift mutations, and this provided the genetic evidence for the triplet code. Collaborating with Francois Jacob and Matthew Meselson, he provided the experimental evidence for messenger RNA, by showing that in phage infection pre-existing ribosomes were programmed by RNA newly synthesised from the viral DNA. Work on chain termination mutations provided proof of the colinearity of the gene with the polypeptide chain, which led to the definition and identification of the three chain terminating triplets, stop codons, and the demonstration that the phenomenon of suppression was due to mutations in transfer RNAs. With Francois Jacob he introduced the replicon model which provided the basis for understanding the replication of chromosomes and episomes in bacteria. In 1962, Sydney initiated a research programme aimed at understanding the genetic basis of biological complexity. For the experimental work he chose the nematode worm, C. elegans, carrying out extensive research on the genetics, anatomy, development and molecular biology of this organism. Sydney worked out the methods of genetic analysis and in 1974 published an account of this research, which included the identification and mapping of about one hundred genes. He also began research on the complete three-dimensional reconstruction of the cellular anatomy of C. elegans from serial section electronmicrographs. In 1975, the first paper on the sensory nervous system of C. elegans was published. This work, continued in collaboration with John White and Nicol Thomson, both at the LMB, resulted in the complete characterisation of the structure of C. elegans, in particular a detailed analysis of the nervous system and all neuronal connections. Another early collaborator in the project, John Sulston, also at the LMB, went on to complete the total analysis of the embryonic lineage of the organism so that the location of every cell and its origin in development was known. Sydney also recognised the need to establish a molecular approach to problems of development and began work on the genetics of muscle in C. elegans. This work culminated in the cloning and direct analysis of four genes specifying heavy chains of myosin. It led to the molecular genetic approach to problems of development and cellular function in C. elegans, and the project attracted a large number of talented young scientists to the LMB, who then went on to set-up their own laboratories. 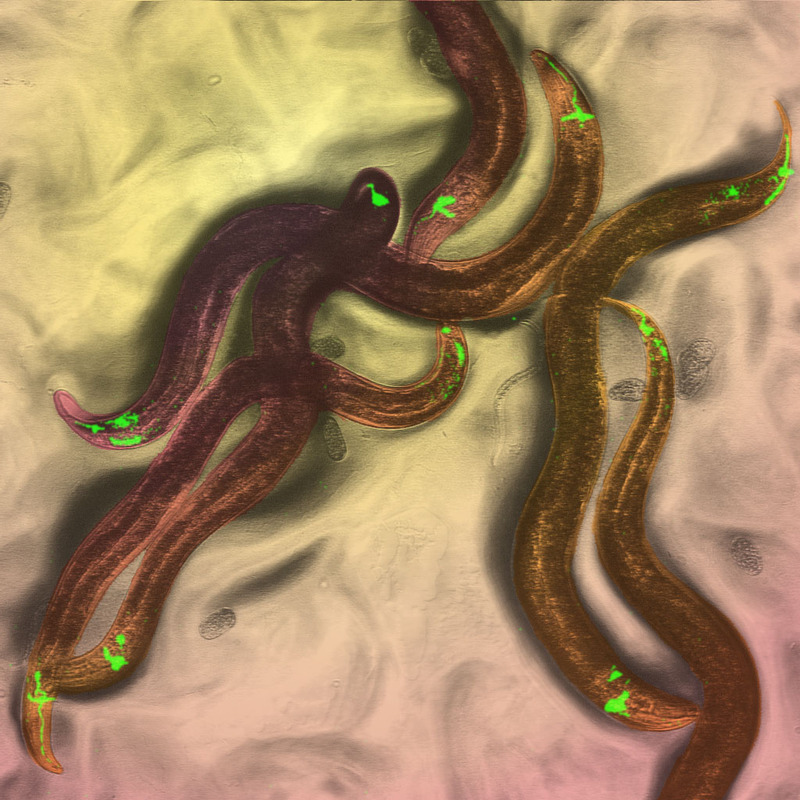 Sydney established C. elegans as an experimental model for the study of complex biological processes of multicellular organisms. C. elegans is still studied worldwide today and its use has led to breakthroughs in many areas of biological research. Sydney’s work on C.elegans was awarded the 2002 Nobel Prize for Physiology and Medicine, which he shared with John Sulston and Bob Horvitz, for their discoveries concerning the genetic regulation of organ development and programmed cell death in C. elegans. Sydney left the LMB in 1986 and set up the MRC Unit of Molecular Genetics, in Cambridge, and in 1995 he founded The Molecular Sciences Institute at La Jolla and Berkeley, USA and was both President and Director of Science. In 2000, he was appointed a Distinguished Professor in the Salk Institute, La Jolla, USA. Away from Cambridge, Sydney moved onto a new model organism, Fugu, the Japanese puffer fish, and he led the work on sequencing the Fugu genome, both at the Molecular Sciences Institute and the Institute of Molecular and Cell Biology in Singapore. In 1993, in Nature, Sydney and colleagues reported that the genome of Fugu rubripes was the most compact vertebrate genome then known. Away from the bench, Sydney undertook a number of roles, including Editor-in-Chief of the Journal of Molecular Biology, and he was known for his insightful and witty columns in Current Biology. He was a brilliant writer and storyteller. He was also involved in the 1975 Asilomar Conference, on the scientific opportunities and potential risks of new technology, such as recombinant DNA, at which his strong sense of ethical responsibility was a key motivator. In the early 1990s, he supported and encouraged Britain’s participation in the Human Genome Project. He was the founder of a number of biotechnology companies, including Compass Genetics and Population Genetics Technologies. Sydney was known for his ferocious intelligence and wit, he was eager, high-spirited and creative. In science, he dazzled with his analysis and theories, but was also the master of the minimalist experiment. Francis Crick recalled, ‘his great strength was in experiments, and in particular the choice and execution of ones that were both important and ingenious’. Sydney had an extraordinary career, played a key role throughout the early days and development of molecular biology and is one of the greatest biologists of the 20th century. He has been a major influence to many scientists around the world and inspired many young scientists. Sydney was joint Head of the LMB’s Cell Biology Division, with Francis, from 1963 and Head from 1977-1979. He was the second Director of the LMB, from 1979-1986, taking over from Max Perutz. 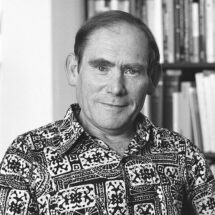 Sydney became a member of EMBO in 1964, Fellow of the Royal Society in 1965 and Foreign Associate of the National Academy of Sciences in 1977. He was awarded the Companion of Honour in 1987. Jan Löwe, LMB Director, said “with Sydney, biology is losing one of its true greats, a pioneer, a trailblazer and a shining example of the eternal LMB spirit. For example, one of his achievements, mapping the connectome of C. elegans neurons, is only now being recognised as the absolute starting point of the current journey to understand the brain in its entire complexity”. Fiona Watt, Executive Chair MRC, added, “Sydney Brenner’s death marks the end of an era for the MRC. In 1956 he joined the forerunner of the Laboratory for Molecular Biology in Cambridge and he was LMB Director from 1979 to 1986. In addition to his major research discoveries his influence extended far beyond the lab. He inspired many young scientists and his curiosity and wit did not diminish with age. He will be sorely missed”.